Buildings can help occupants to learn more about themselves, each other, and the world around them. This is particularly evident when it comes to designing and experiencing architecture such as museums or schools. These building types must go beyond passive engagement, to actually invite visitors or students to learn, and explore their curiosity. With the advent of such architectural technologies as virtual reality and other interactive installations – it becomes possible to enter into a new kind of dialogue with building occupants. And this dialogue can be pushed even further. 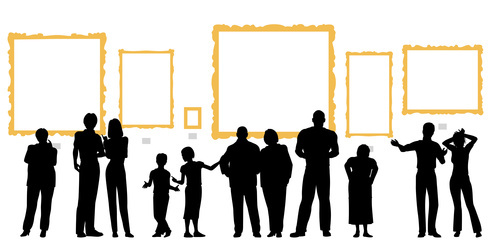 For example, if a museum visitor has a specific question about an exhibit they are learning from, then that exhibit can work with the environment to “answer” their inquiry either directly (within the exhibit itself) or indirectly (by pointing toward another exhibit or spatial composition). After all, with new technologies museum visitors and students are able to “see” taught concepts differently. And with this new kind of insight, their questions are likely to be different as well…perhaps more nuanced, profound, or insightful. So, what role does architectural space play when it comes to feeding occupant curiosity? Architectural environments provide a “playground” for the mind, body and spirit which allows its occupants to explore, learn and and ask questions. Within schools, this creates an environment where concepts take on new life. As the environment supports teaching efforts, the space can foster learning within students. Again, with architectural technology such learning becomes more interactive where students can embark on a path that leads to deeper insight into their own academic curiosities. Thus, responsive architecture is not just about providing an endless flow of information that continues whether or not the occupant absorbs it well. Architectural design for schools and museums can become more nuanced to better fulfill the real-time needs of occupants as they explore and learn. This ensures that their curiosity will be fed, helping them to grow through insight and education – instead of being engulfed by overwhelm. Thus, when you design environments – think beyond passive engagement to instead design for active learning through exploration and an architectural invitation to follow one’s curiosity. This will help to guide new technologies into such learning spaces as museums and schools, ensuring that optimal learning and emotional connection is made with the subject being presented.